UNDERSTATED eloquence. That’s how I’d describe it. This magnificent building – once home to Winston’s Churchill’s office as Minister for Munitions in WW1 – sits astride a whole block of Whitehall, seconds away from the bustle of Trafalgar Square and light years away from the slightest of stress levels. It has the best bits of the poshest hotels without the snobbery that sometimes accompanies them. Hence you can enjoy a well-kept cigar on the superb inner terrace, or indulge in a gloriously indulgent afternoon tea or bottle of Champagne without feeling you have to pose as Lord Lucan back to claim what’s rightfully his. And so I was delighted to be invited to bring my family along to sample the wares, so to speak. And the girls (I don’t envy their husbands when time comes to impressing them) were given an entire suite to themselves – complete with ‘telly in the bath, Dad,’ and all the lustre my wife and I had at our disposal next door. There’s a light, airy flower shop in the lobby and even a Harrods concession if you need to splash out on your way through town and can’t be bothered to make the trip to Knightsbridge. But it’s the communal parts of the hotel which prove a focal point and a place you could wile away the hours, just observing. The Lobby Lounge, for example; a great, sparkling, showpiece Baccarat chandelier occupies stage centre here and amid the clink of glasses and the titter of happiness, friendly staff ply their most efficient trade. We skipped lunch and settled in for Afternoon Tea. Of course, there was lashings of tea (Winston Churchill Lapsang blend for me and good old breakfast for my wife and daughters) but also an amazing mix of childhood memories given a new lease of life in cake form. There were freshly-made takes on Snickers, Jaffa Cake, Bubblegum and Strawberries and Cream, as well as obligatory homemade scones and glasses of pink bubble. Even gluttonous eyes couldn’t manage all on offer – and so a dainty box of leftovers was deftly provided for the little darlings, complete with a handwritten note from the waiter for each of them, by name. That’s what I mean about understated eloquence. An amazing subterranean spa exists here, too, as well as the soaring Massimo Restaurant (Italian) and stylishly modern Northall Restaurant (seasonal British) under the guidance of Executive Head Chef, Gary Hollihead. I was delighted to see British sourcing proudly displayed wherever possible; there are cheeses here from small farm producers; seasonal game and fish and veg from dedicated and sustainable sources. Breakfast is taken in the Northall Bar and Restaurant, together offering a Viennese-style airy elegance. I challenge you to find nothing you like for breakfast; fish, cheese, dim sum, Danish, eggs a go-go and glasses of Champagne – it’s all here in a smorgasbord of incredible proportions. Once again, staff are welcoming and chatty, service on the money. None of which I did, of course; but I did ask meakly for a S&S once the rest of the fam had turned in for the night. I could easily become a barfly here. 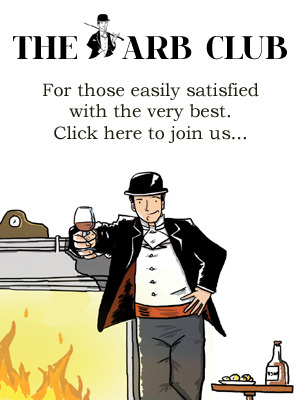 The cigar offering – oh delight of delights – is run by the suave Manu Harit, a young man with an eye for a fine Habanos. The walk-in humidor – handbuilt by Italian maestro, Massimo De Munari – houses an increasingly excellent selection, thanks to careful curation by Manu. There are some decent aged sticks to choose from and considering the hotel’s position with spitting distance of the corridors of power, the prices are not ridiculous. I get the impression that people don’t come to The Corinthia just to be seen; they come because they know quality – and where to find it. It’s one of the finest London hotels I’ve had the pleasure to stay in; each step through the lobby leading to another avenue of delight. If you get the chance to indulge, grasp it with both hands and understand English hospitality at its finest. For more information about the Corinthia London, visit www.corinthia.com.